Warm weather means lots of grilling and eating outdoors. We all look forward to it. But it shouldn’t also mean a life of boring salads alongside grilled meat. We’re going to jazz it up this summer! It’s hard to think about summer and not thing about delicious kernels of yellow on the cob. Corn is definitely a summer treat. Maize, as it’s also known, is also quite good for you. Providing antioxidants, fiber and, in some studies, has proved to increase overall nourishment. Well associated with America, corn was actually a food well established in other cultures first. Both the Mayan and the Olmec civilizations, dating back to 2000-1500 B.C., adopted maize as a staple food. In fact, they did rituals to the plant. The first reference to maize in Mexico/Central America actually dates back to 9000-8000 BC. 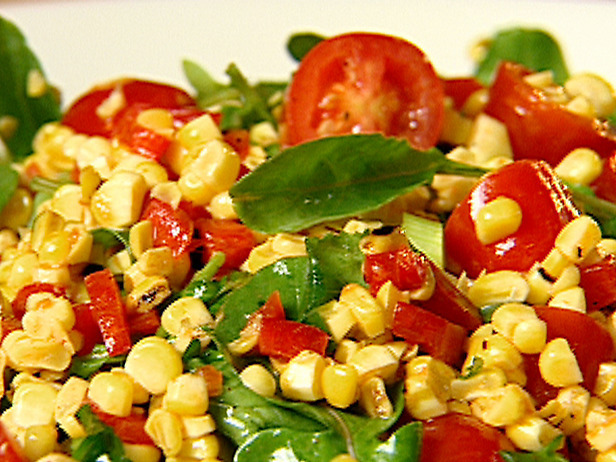 Today it’s the inspiration for our recipe of grilled corn salad courtesy of Craft.com. Let’s wash it down with a little treat of cherry limeade – that’s right, you can make it at home! The salad can be a side on it’s own, a nice taco topping of placed on top of greens. It’s versatile and kids will love it! Enjoy. Juice of 1 lime, about 1 – 2 Tbsp. 1. Cut the avocado in half lengthwise. Remove the pit and discard. Cut each half in half lengthwise. Peel back the skin and discard. 2. Cut the avocado into inch cubes. Add to a small bowl and squeeze half a lime over top. This will help prevent the avocado from browning and sticking together while you prepare the rest of the recipe. 3. Stand the grilled corn up on end and cut the kernels off using a knife. Set aside in a bowl. 4. Wash the grape tomatoes, slice in half lengthwise. Add to the corn. 5. Remove the cilantro leaves from the stems. Reserve the leaves and chop finely. In a small bowl, combine the other half of the lime juice, salt and pepper, cumin, and chopped cilantro. 6. Stir the cilantro-lime mixture into the corn and tomatoes. Then, gently stir in the avocado. Serve chilled. 1. Begin by dissolving the sugar in the water over medium heat to create a simple syrup. Set aside when done to let cool completely. 2. While the simple syrup is cooling, juice the limes. 4. Stir all together to combine well and serve immediately over crushed ice or cover and refrigerate.